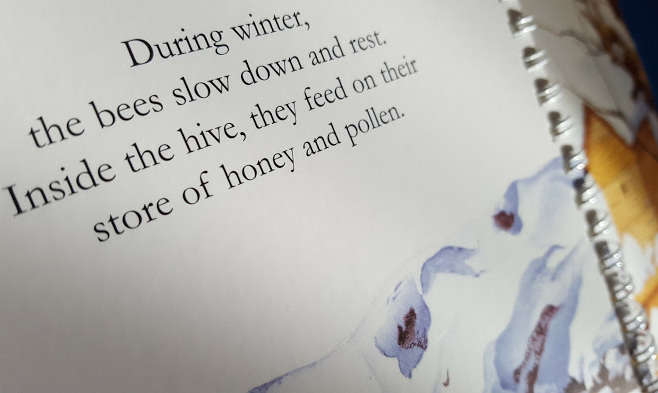 The Bee is a small and incredibly beautiful creature, and The Bee children's book from Moonlight Publishing is also small and beautiful. From the My First Discoveries range, this is a non-fiction book aimed especially at children aged 4-8. 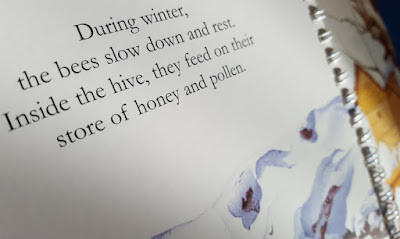 The Bee really is a gorgeous book. Created by Gallimard Jeunesse, Ute Fuht and Raoul Sautai, (the latter two of whom also illustrated) it is full of warm, vibrant colour and drawings so detailed that you look twice to see if they're really photographs. 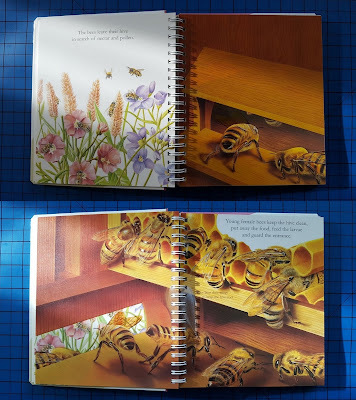 Spiral bound and with 36 pages in a smaller format, The Bee is hardbacked, and could be easily mistaken for a board book. Inside transparent acetate pages alternate with thick card, so that the pictures can change and show you what happens inside, or create depth and layers to objects. The language used is not challenging to an 8 year old, and both of my boys (7 and 8 1/2) have enjoyed reading The Bee alone. The illustrations are very clear and often give better explanations than the text. 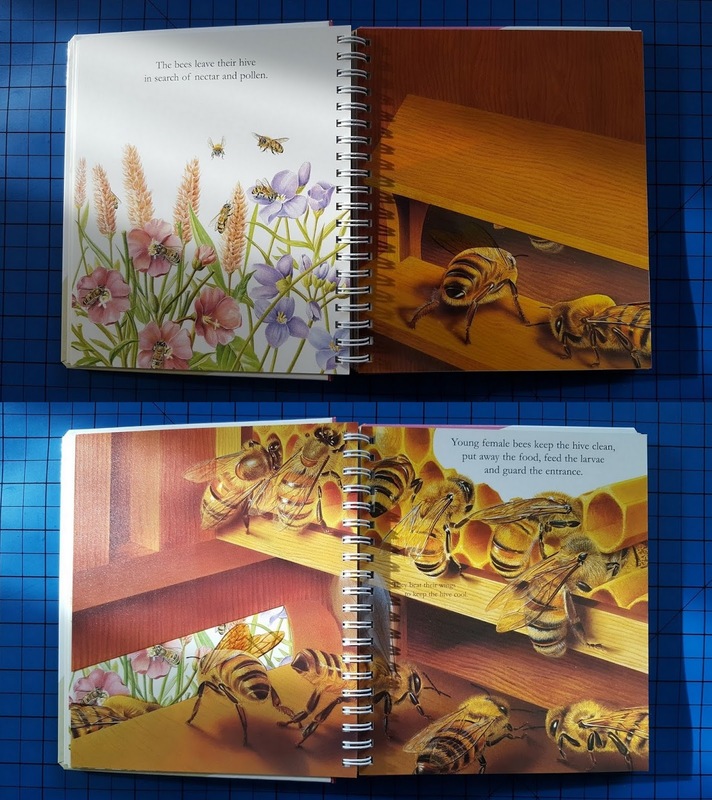 It really is a quick and uncomplicated explanation of the life cycle and habits of bees, and my children didn't have any questions after reading. There are around 20 My First Discoveries Books from Moonlight Publishing available from Boolino, with varied age suitability and in a diverse range of subjects such as Tractors, Dinosaurs, Colours and Impressionists. I think your child may well not find them all of interest, but if they have a subject they are keen on, this is a less intimidating option than a big fact book, with the more complex detail lacking from first books. Perfect for any child around 4-8 to teach them a complete basic understanding, and actually a good introduction to projects for school children. 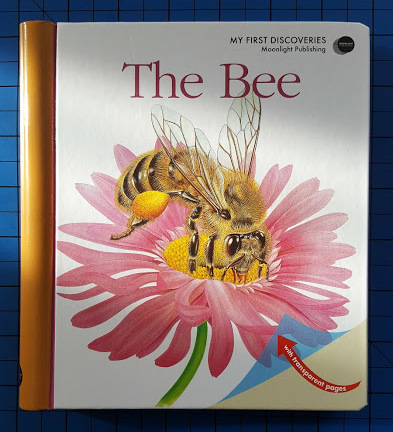 My First Discoveries: The Bee has 36 pages and rrp £8.99. Available currently from Boolino at £6.29 (save 30%). We've just read this too, my Little Man really enjoyed it, although he's a little younger than your two.